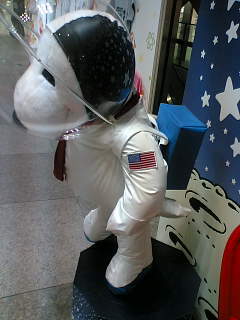 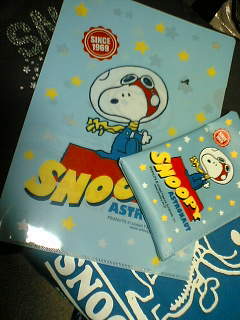 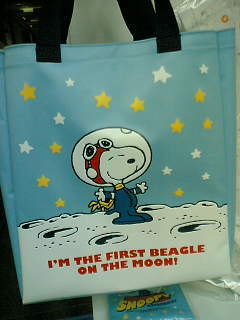 For this mission, Snoopy the Beagle exchanged his traditional World War I flying ace goggles and scarf for a space helmet. 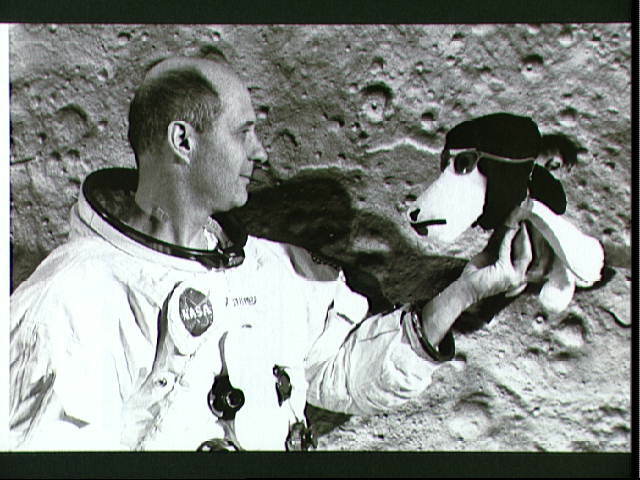 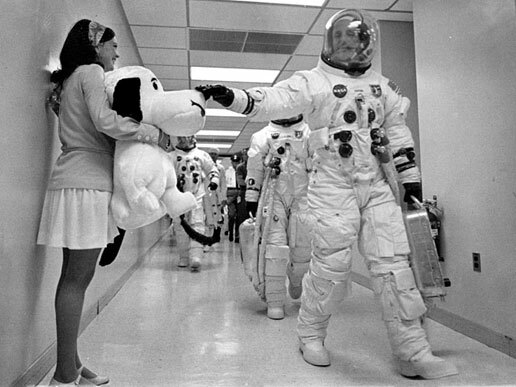 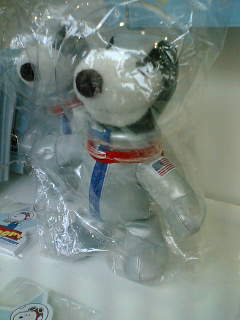 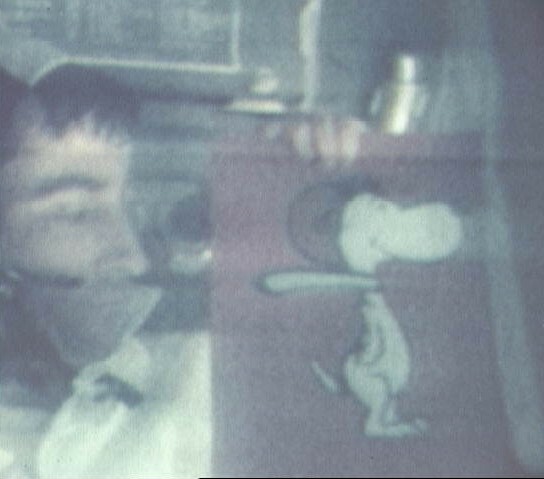 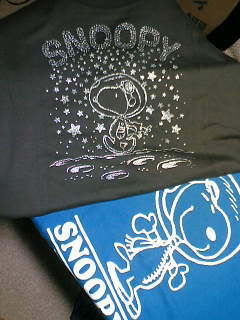 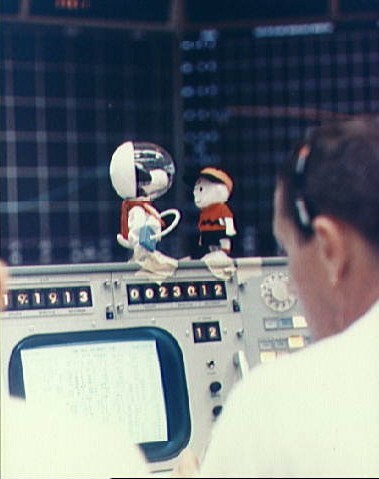 At the Manned Spacecraft Center, Snoopy was the symbol of quality performance. 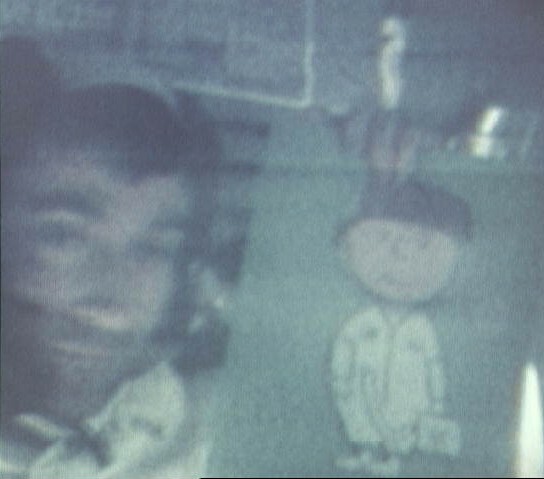 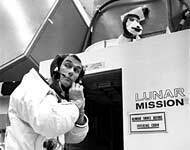 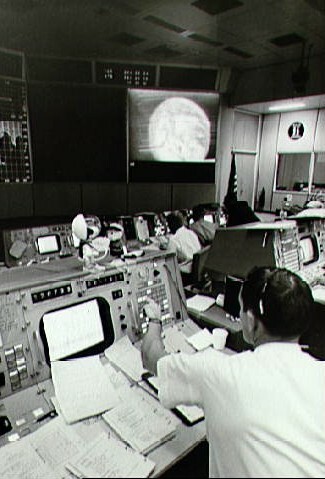 Apollo-10 lunar module pilot Eugene Cernan prepares to enter the lunar module simulator at KSC. 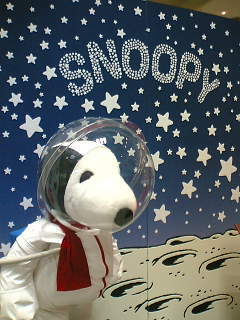 Note the Snoopy mascotte above the entrance.